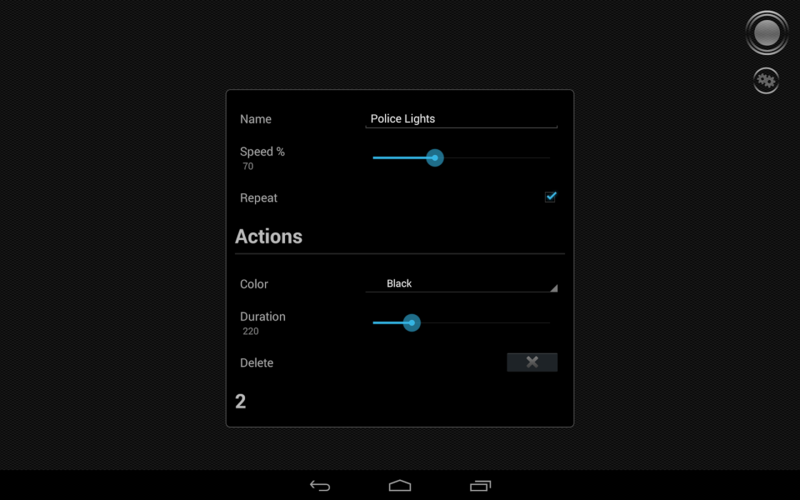 Police Lights is a plugin for Tiny Flashlight and depends on it. 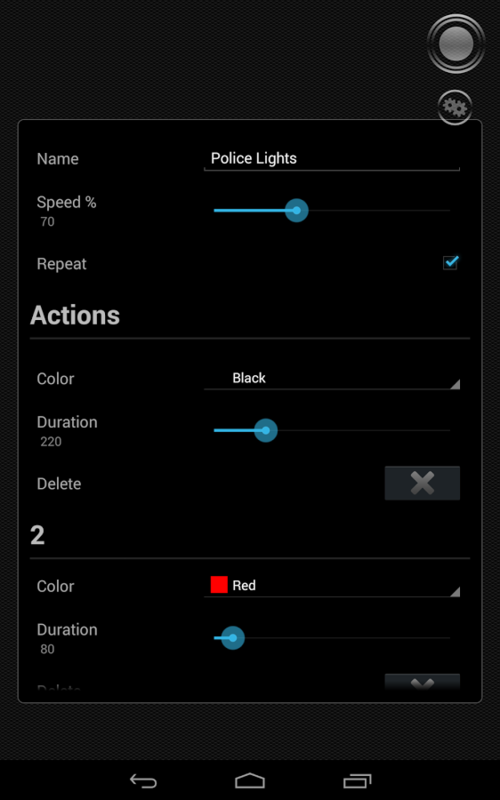 Simulate authentic police signal lights with full customization support. 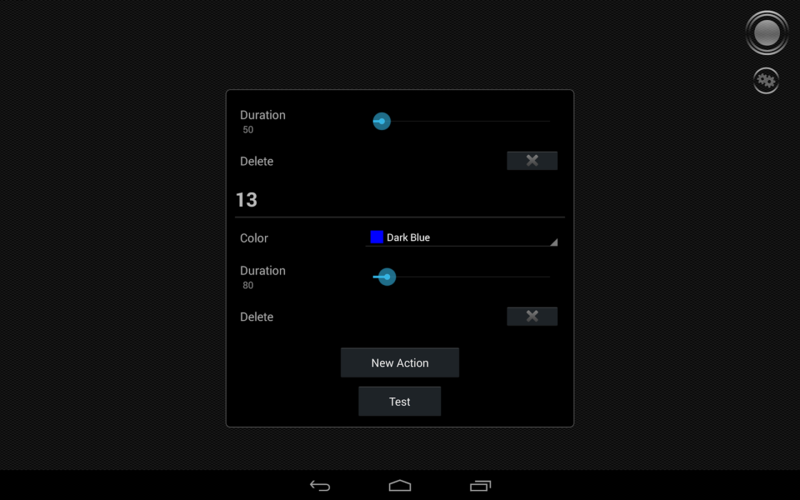 Add additional custom light patterns with different colors and duration. Long tap on an existing light pattern to edit it. * Change colors, duration, and time scale, repeatability. CAUTION: Strobe lighting can trigger seizures in photosensitive epilepsy!